The Olympics has been quite surprising to me for a number of reasons. First, nothing (yet) major has gone wrong. Yes the security has required a contingency plan (but it was there in place to be used), yes some seats are empty (again not unexpected, nor not easily solved) and yes, the UK has not won every medal going so far. Overall though, a major project seems to have gone so far without a major hitch. I remember attending, a few years ago, a lecture by the then head of audit of the London Olympic organising committee. At that point you could see it was a project on track, but under pressure. Now I empathised with their position. It is challenging for internal audit to add value to project work, because to provide a robust opinion requires a good understanding of a lot of factors, information, evidence, opinions and the real killer – context. It is difficult to call from an assurance perspective (as indeed project delivery is difficult to call). This is all the more difficult because projects are fast-moving. By the time the audit has formed a view, the detail and context of the project has moved on. For internal audit then you have a few options. To audit the framework of project delivery, that is, will the project’s structures, governance and oversight enable it to deliver under normal circumstances. To audit the project at milestone points – has the project to date achieved x% of the intended 100%? To audit the outcome – has the project delivered against the original initiation document and business case? or to dipstick audit elements of it whilst ongoing. So have the internal auditors for LOCOG got it right? – well it appears so. Are the current issues within the risk appetite overall? I suspect yes. The other interesting thing is the sheer Britishness of the approach. The opening ceremony has been near universally recognised as successful, in particular in its recognition of Britishness. I see a very British and distinct model of internal audit developing, and it draws on the underlying themes from the opening ceremony. First the British have a sense of putting the here and now in a much longer context of continuity. We, as a nation, have a common, continuous history, with stable and well-founded institutions at their heart. The BBC for example. Its coverage of the games has been world class to date. Yet the British have a sense of pragmatism and making things work with humour. There is no sense of being rule-bound where this is unhelpful or unnecessary. 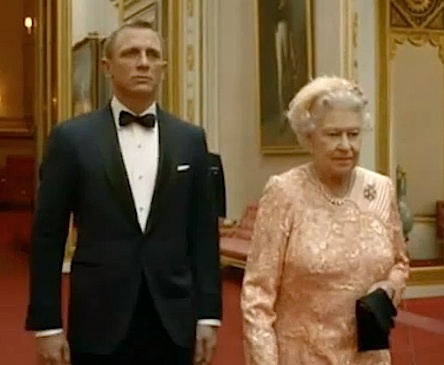 Her Majesty the Queen’s appearance with Daniel Craig as the fictional James Bond was a masterstroke of being popular, even populist, whilst retaining dignity. It is a very British thing to laugh and poke fun at our institutions and they themselves, yet to hold utmost respect for them. So I think it is with British internal audit. Yes we like order, rules, principles and organised activity. We are not yet rule bound beyond the point of pragmatism. Internal audit in the British sense I hope will not yield to the rules-based, mechanical and non-strategic approach that typifies, to some extent, our international colleagues. 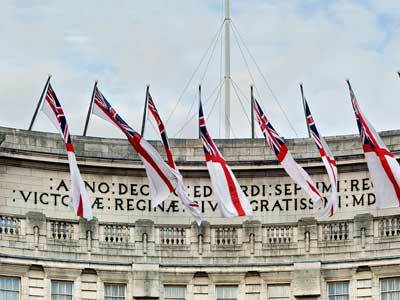 British internal audit is rules-conscious but not rules-bound. We have a sense of principles-based pragmatism that makes sense of an ever changing and complex world around us. This will require internal audit to avoid the thirst for ever more ‘guidance’ and to retain a pragmatic, thinking, contingent approach to our work. After all our management colleagues have to deal with the imperfect – why should we not face the challenges full square with them? Why does internal audit allow itself to be defined by others? Or put in audit terms, why does it define itself by exception? You know the score, well good internal audit is not external audit because… or good internal audit is not consultancy because… or good internal audit is not compliance because… or good internal audit is not risk management because… You get the idea. Now these statements are true. Good internal audit is none of these things, that’s because good internal audit is good internal audit. Internal auditing is sufficient in its own right. Good internal audit is neither consultancy, nor financial statements auditing, nor risk management nor compliance. Good internal audit has none of the flaws of these practices nor is it specifically designed to be pale imitations of them. Take consulting. Let’s define that negatively. Consulting is non risk based, dependent on management, lacking independence and objectivity (no consultant I know ever went against their paymasters), lacking a systematic process of application, with a poor record of gaining a disciplined evidence base and absent of critical quality assurance both internally and to objective international standards and without the right of reporting to the governing body of organisations or their audit committees to ensure their work is acted upon, considered and the organisation they serve improved. There, how about that for negative definition! So why do internal auditors define anything thoughtful, well argued, complex and nuanced and getting to a heart of a business that the auditor will know well, as being ‘consultancy’. Similarly at the other end. Compliance. Let’s define this as mindless and uncritical policing and ticking of low-level operational controls with a lack of regard to the context, strategy and risk appetite of the business and without the disciplined, risk-based, systematic analysis of the whole of the organisation and the people that deliver it, without a route of guaranteed reporting to the board and audit committee to make change and recommendations happen. Or my particular favourite. Let’s define external audit: an elaborate verification of the veracity of a single document per annum irrespective of the value of that document to the business or its stakeholders, against a set of ever more complex and unhelpful rules with some non business-related, non risk-based compliance controls advice over the production of that financial statement without any regard to the underlying business model or risk except, for a bland statement that the business will exist in 12 months’ time. Now of course none of these characterisations is entirely accurate. Consultancy can be helpful, many external auditors try to bring value well outside of their remit and report on the regularity of funds’ use as well, and compliance can be key to some businesses’ survival. It illustrates though how far internal audit as a profession has to go before it feels comfortable in its own skin. Internal audit has some great things to commend it and being an internal auditor is increasingly important as business practice, and its ethical, moral and effective delivery seem ever more challenging. Only this week we learn that G4S has allegedly made up the qualifications of the staff it has managed to find. A good internal auditor could and would have picked this up and dealt with it (I have no knowledge over G4S’s IA arrangements, perhaps they did and were ignored). Good internal audit is good internal audit, it is thoughtful, independent (in attitude not appearance) and critically supportive of the management and governing teams it works for. We are a chartered profession (in the UK) now. So let’s build on that and make a real difference to the organisations we work with and in turn, the societies and markets in which they work, and be proud to make that contribution. I had an occasion to interact with one of my private sector colleagues the other day. Now it was nice to have a different perspective. What I noticed most was the different language. Who uses the phrase ‘M&A activity’ as a general term? I am conscious that as an accountant, internal auditor, IT auditor and perhaps most salient of all an MBA graduate, I speak in a number of different lexicons. I have always been conscious of this though and I have tried to speak a single language, that of common sense. I am not always successful as my oldest friend, a musician, takes great joy in pointing out. We are not always on a level playing field (sorry!). This week seems to be a language issue week though. I was accused earlier in the week of having used jargon words in a particular setting. Now I don’t think the words I used were, but they were obviously outside of the frame of reference (sorry!) of the people I spoke to. The words were ‘commodification’ and ‘instrumental’. Sorry, I forget to mention I am studying marketing as well, hence the use of these. Again I felt they were used in a context-specific way to address the issues being discussed. But it is interesting that they stuck in the memory of those I spoke to. I am not sure what the lexicon for internal audit is. Perhaps I use the word risk or risk-based more often than usual. I am aware I think systematically and in an organised fashion, and perhaps see things from a ‘control’ view more often than not. Now, going back to my meeting with this private sector person. You can tell a lot about a person and their professional ‘upbringing’ from the language they use. I could tell that they were definitely steeped in private sector financial accounting because their view of the business came from a concern for the financial reports and financial controls view. Now that is not a bad thing. One would hope that any finance function would seek to have people concerned in this way. It struck me, however, that internal auditors need to be organisational and professional chameleons, we need to talk HR to HR people, IT to IT people and marketing to marketing people. We need to understand these professional perspectives, even if we do not, in all cases, validate them for all situations. I have long advocated that internal audit is a professional mindset and a way of thinking and doing that can be overlaid on any other form of profession training, in my case finance, to deliver internal audit of a particular flavour. I also advocate that the steering strategic core of an audit function should be multi-skilled, as I would for any generalist, including a senior manager. For this I recommend a generalist MBA. Going back to my private sector colleagues. What strikes me, is not just that they use different language, but that that language conveys a way of thinking, a mindset. I am coming to the view that the age of unadulterated private profit needs to cease or be ameliorated. Harvard Business Review is full of the new age of moral business, whether through new forms of charity entity, more corporate social and environmental responsibility, or a form of marketing that considers society as well as private customers. Whether this age has really arrived or not, I am not sure. I do think however, that the balance of power is moving away from corporate entities. It is becoming clearer that the model of undiluted corporate capitalism is becoming decreasingly tenable in its current form (and perhaps trustworthy?) to generate societal and world benefits. As production, knowhow and production become democratised the need to lock profits, knowledge, and assets within the box of corporate entities becomes less relevant. A more feathered edge to the corporate entity is becoming the norm, a reality that the legal profession is, in my view, struggling with. Perhaps the real lesson here is that internal audit’s role is to ensure that the corporate entity acts on society’s behalf? That is, they are the in-house version of the societal and customer voice to ensure that corporates act more like the 19th century corporates of the Co-operative and Quaker variety. Perhaps internal audit should be the first to identify the new language of a new business model for the 21st century. The real risk internal audit should understand for any business is that private profit, unless generated after paying the full, not marginal, social and environmental cost of their activity may just not be tenable in this century. I think this challenge presents internal audit with a great opportunity and a societal level challenge. Are you ready to rise to it? It is interesting to recall how different clients have different working styles. I have worked with various client types, but the universities I have worked with, particularly the academic departments, do have a collegial practice which I find appealing. This contrasts with many private companies I have had as clients which have a competitive culture. It is individualised working, even if accompanied by an emphasis on team working. That is not to say all private sector clients have a competitive culture, nor that all education clients have collegial working. Indeed the ‘marketisation’ of universities at present puts a lot of pressure on the remaining elements of university collegial working. What does collegial mean? Well, for me, it means that instead of joining groups of co-workers and competing in a pool of talent, the group sees themselves as working to a common set of challenges, ideals, culture and values and lexicon. These drive the ‘how’ rather than the what. 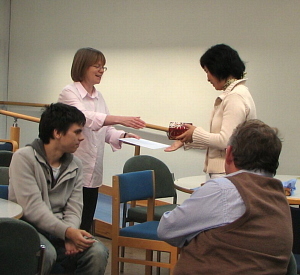 Trainees are inducted into a community of practice, rather than trained to be able to compete. The whole is gently changed by the introduction of new junior and senior appointments which gently move the overall and morph it into a new position. I am always struck by research groups and how they see themselves as training the next generation and how generous senior staff are with their time for their juniors. The most appealing element of this mode of operation is the the idea that knowledge is formed not by brilliant individuals (though in some academic disciplines this is more the case) but instead formed by a group working and spending time together to think through challenges. With one particular academic department I have worked with, and I understand this to be true with many others, the most important place is not the library or lecture hall, not the laboratory or computer room, but the tea room. The tea room is the place where the culture of the department and norms of working require all staff, postgrads and relevant UGs to gather together and talk at 11am over coffee. It is in this room, acting as a fulcrum, that the ideas of the few are debated by the many, new lines of enquiry suggested, in short, knowledge created. I rather think internal auditing is much like research. Various auditors are working on various problems. Some at a strategic level, others more compliance and operational. The key point is that they are all working to form opinions (the equivalent to a research answer) using a scope of work and an audit output (normally report, similar to an academic paper). Surely, audit then, requires the same type and level of engagement? Perhaps all audit departments, instead of scattering auditors to the four winds, should actually have a tea room? Perhaps we need to think as a profession more about what community of practice we are introducing our trainees to? The half and half state of the qualification status of the profession’s auditors (many CIIA qualified, but so many not) make the establishment of single values and a common lexicon more challenging, but not impossible. I am not advocating ‘group think’ here. That would be unhelpful and destroy the creativity that internal audit (and academia) should have. Rather it is a common set of structures and bases within which audit work and thinking can occur. Audit is stronger with collegial working. As a CAE I need to form an opinion, and I am ultimately accountable for it. I am not, however, always responsible for forming it. I have both added to, and had added to mine, strength of opinion, through debate and discussion with my professional colleagues. So next time you are struggling to complete a piece of audit work to impress, try instead to draw others into it and work collaboratively. Even if your overall opinion is not changed it will certainly be strengthened. I would even go so far as to say that the opinion could be strengthened through collegial working with the management team (after all we are all working on the challenges to deliver the same strategy). This, in my view does not weaken audit’s independence, rather the ability to maturely debate and listen to others can only enhance its standing. So when are you building your audit tea room? There are days when I wish I audited a retail business. I have never had the pleasure, and I think it would be, to audit a business so connected to the general public. I was speaking to a friend of mine who went to the Abercrombie store in London last week. Now you know the score, the whole store is a ‘retail experience’ with dark wood shelving, low lighting, loud music and various ‘assistants’ who all look like polished American grad students. In particular is their fascination with a semi naked, perfectly formed man, in the entrance. My friend reports, and they are not averse to such experiences, that one of the polished people in the entrance was dressed head to toe in Abercrombie goods and said ‘hi how are you’ over and over to everyone who walked in. Now this was said with so little sincerity that it rang hollowly around the entrance. Then, once in, fighting to see goods in the dark, they looked for a particular item. Seeing no signage and nothing approaching helpful labels, they eventually asked (well had to shout) a surly assistant (though good looking) to assist. Eventually they were directed to a particular part of the store, not asked what size or colour they wanted, and they were left to their own devices. At the till their experience got worse, with a huge queue which moved slowly as it snaked through the store. So where was branding in all of this? I wrote recently in my Royal Auditing post that the devil of branding is in the detail of delivery. They left without purchasing the item. I think the lesson here is that branding has grown in some businesses beyond being a means and instead replacing it as an end. The staff in this case have been so indoctrinated that they see looking and appearing ‘correct’ as an end in itself. Perhaps the Abercrombie franchise is more about brand image than selling. Perhaps this lost revenue will be recouped through a greater margin. I doubt it though, as the store is still pumping out relatively commodity items, not bespoke couture. This prompts the debate, therefore, whether marketing can become an end in itself. As an auditor I have certainly seen this in marketing departments at my clients. Normally controlling the logo is all important, without a real connection as to why. The decision chain justifying marketing activity becomes, in effect, over extended, blurred and lost. For me this is another example why compliance auditing of processes, however well intentioned with clear objectives, without asking about the ultimate strategic objective above it and the justification for the process in the first place, is somewhat to miss the point. Strategic auditing with no understanding of the practical mitigations of risk is just as futile in my view as auditing compliance without a strategic risk understanding. The whole chain of control is, in reality, one holistic whole. How do you ensure that you audit above and below the scope of your audit review opinion? I’ve written a number of times about branding and consistency, and how the customer experience is one that is made up of millions of facets, not least staff on the front line. This weekend, however, I had the pleasure of attending the Queen’s diamond exhibition within the Buckingham Palace exhibition. Now British tourist destinations, especially those in London, have not always had a great a reputation for either quality or value for money. I am pleased to report that Buckingham Palace was both. This started from the pleasantly small queues (given it was the first day of the diamond exhibition). The equitable handling of ticket allocation (first come first served, enabling a day tripper to take advantage) was good. The staff (admittedly all fairly young, and fairly posh – I guess to give the ‘British’ experience) were all exceptionally helpful, polite and well turned out in navy and scarlet uniforms (which were dandruff and lint free). The price was good, including a year’s day pass if you gift aided the money, and the tour included audio tour, the diamond exhibition, tour of the palace, gardens, tea room etc. Even the gift shop, so often a source of awfulness, had some really high quality and well-merchandised gifts that I’ve not seen since the Guggenhiem in New York. The core of the offering, the Palace itself, was stunning and quite amazing. My point here is not to act a tour guide, but to reflect that a high quality customer offering is founded on a clear brand, in this case Royal, and is then carried through in all aspects of delivery. This does not mean just logos or paperwork, but a meaningful work through of the customer experience. Thus for auditors, who should audit this significant source of competitive advantage or disadvantage, it is not enough to look for a marketing strategy and mark ‘tick’. One would hope to see the work though of what the brand is, and its integration into the core of what the organisation’s service offering really is and to whom it is designed to appeal. This should be supported by customer journey mapping and clear review of customer feedback. At Buckingham Palace no element of my experience was left to chance and it had been clearly thought through. For this I thank the team behind it and fully intend to return with my free day pass. 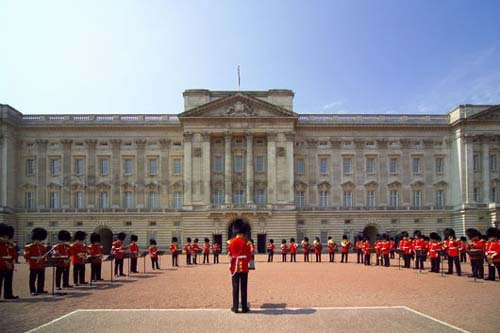 I would not even mind receiving the call to audit the Royal Palaces.